TAKAHIROMIYASHITA TheSoloist. has joined Converse on a clean collaborative rendition of the ERX 260 Hi silhouette. 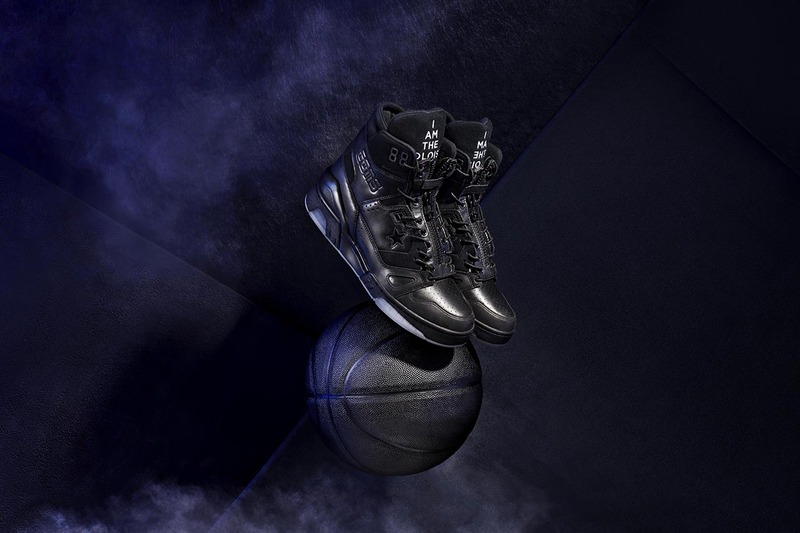 Having seen a number of recent collaborations courtesy of Don C, the ERX 260 Hi is Converse’s basketball sneaker turned rock music silhouette, an inspiration channeled in TheSoloist’s triple-black version. The Japanese label is dressed the ERX 260 in a clean black leather and suede upper that is stacked atop an icy translucent sole with overlapping black sidewalls, complemented by a removable zipped lace guard. The standout component of this sneakers design is a graphic that reads “Hello, Hello, Hello, I Am The Soloist.” The pair is finished with “I Am The Soloist” stitched into the tongue in high-contrasting white, while the rest of the shoes sees minimal stamped “CONS” branding and a small suede star on the lateral sides. Priced at $150 USD, the TAKAHIROMIYASHITA TheSoloist. x Converse ERX 260 Hi “Black” is available now at Converse’s site, select retailers like SSENSE and HBX worldwide and at a New York City pop-up until March 22. For more collaborative Converse, check out these exclusive DOE Shanghai x Converse Chuck Taylor ’70s and Jack Purcell’s. Valid for amounts ranging from $1 USD to $200 USD.